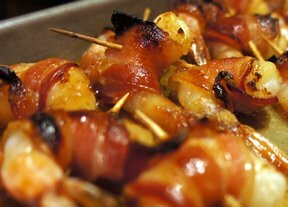 Jumbo shrimp wrapped in bacon and grilled with your favorite BBQ sauce. Pat excess moisture from shrimp. 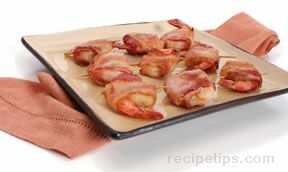 Wrap slice of bacon around shrimp and place a toothpick in the center to hold together. 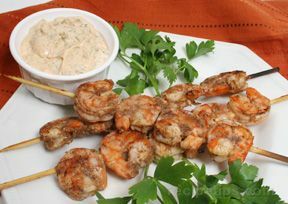 Season shrimp with salt and pepper, brush lightly with bbq sauce, and place on the grill. Cook 2 minutes each side or until bright pink shell and shrimp is opaque, repeating application of bbq sauce. Serve hot with fresh pineapple chunks as garnish, if desired.